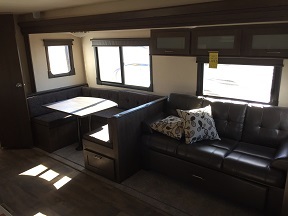 This great starter bunkhouse RV is perfect for families. 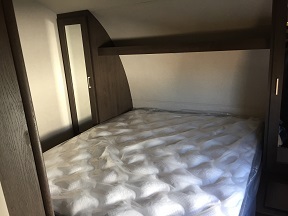 This unit has tripple bunks as well as a super slide to make this unit feel nice and open. 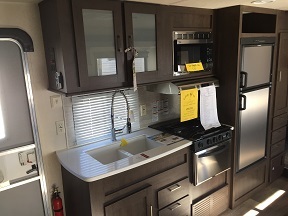 The kitchen has a good amount of prep space and has a 8 cubic foot gas and electric refer. 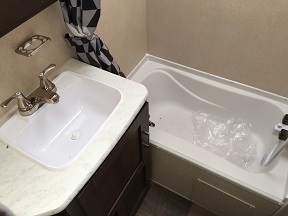 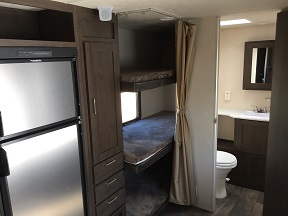 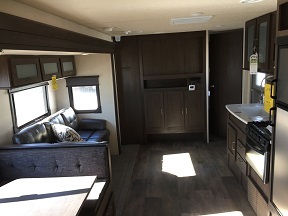 The bathroom is fairly spacious for a bunk model and up front this unit features a fully private master bedroom with a fully walk around queen sized bed. 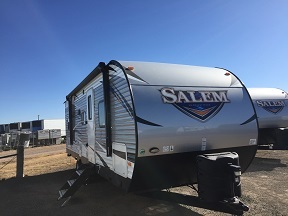 Outside, you will find setup is easy with a power awning, power jacks, and a power slideout. 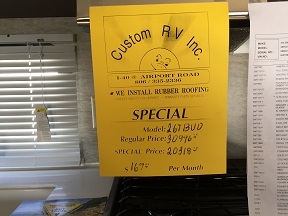 Come see this RV today before it is gone!